More and more LTE advanced networks are available worldwide, so more and more LTE advanced mobile hotspots are needed to support faster internet speeds. 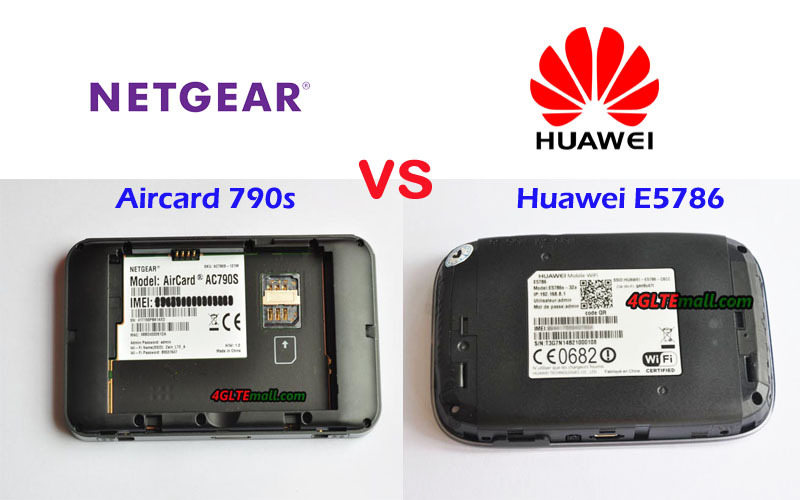 Huawei E5786 and Netgear Aircard 790s are both LTE Cat.6 routers, even they are available for few years in the market, some people still don’t know what’s the difference between Huawei E5786 and Netgear AC790S. When they want to buy one LTE WiFi router, they may ask which one is better. 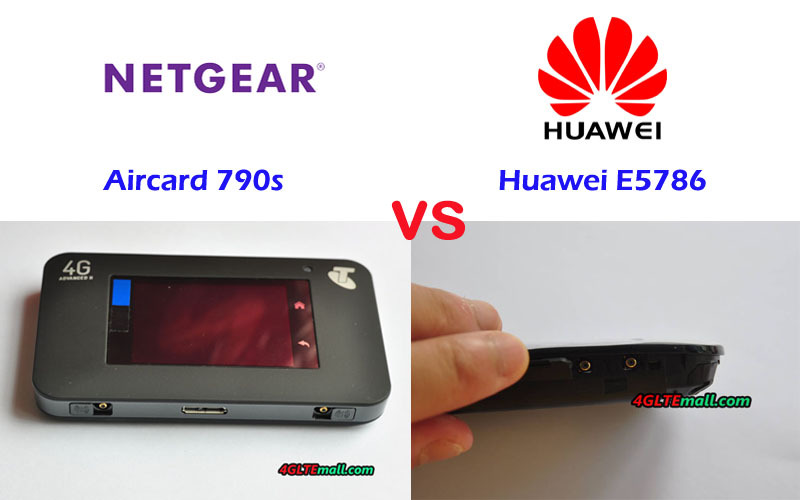 We will review the appearance, interfaces, variant models, specs, and other features about the Netgear AC790 and Huawei E5786 to see what the key difference is so as the reference for the potential users. The advantage of Huawei E5786 is that it has three variant models which support various LTE frequency bands and provides more options for users for various network providers. 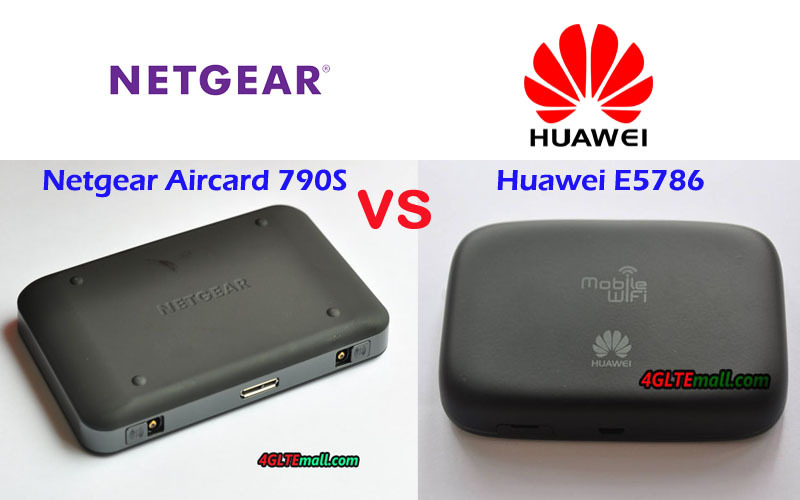 One point we have to mention is that the Netgear Aircard 790s price is a little bit expensive than that of Huawei E5786. 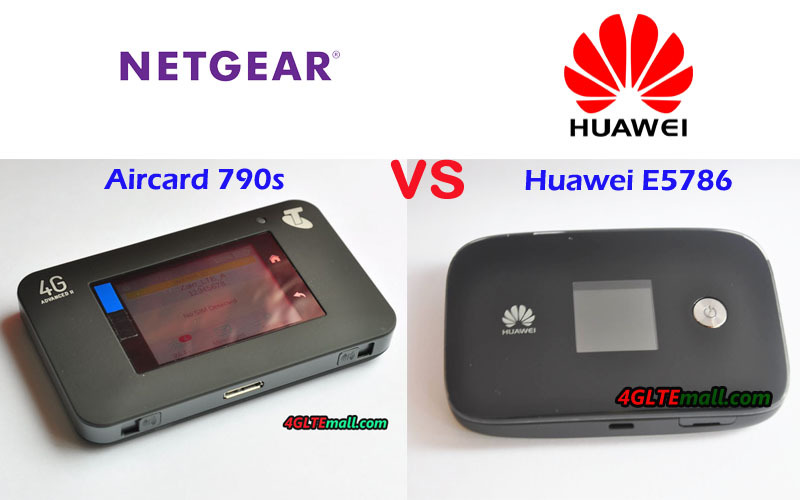 If you would buy Netgear Aircard 790s or Huawei E5786 mobile hotspot, you should take care of these features.